Fredrick is the Executive Director of Action Network for the Disabled (ANDY). ANDY is a national disabled people`s organization run by and for young people with disabilities. Fredrick is also the founder and director of Riziki Source, a social enterprise that leverages technology to connect persons with disabilities with jobs while providing training support to employers to feel confident in employing individuals with disabilities. He also served on the Disability Rights Fund Global Advisory Panel (2008-2013). Fredrick is a board member of Little Rock Inclusive Early Childhood Education Centre. Early in January 2009, he was recognized by the Government of Kenya for his exemplary achievements in promoting a youth agenda in the realization of Kenya’s national development goals. In June 2009, Fredrick was selected as a global fellow for 2009/2010 by YouthActionNet; He joined the Global Disability Rights Library (GDRL) in 2010 as an International Advisory Board member. 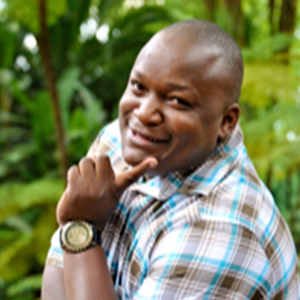 Fredrick was elected an Ashoka fellow in October 2012 based on his entrepreneurial efforts in advancing issues of disability and employment in Kenya. He holds a Diploma in Business Administration and a BA in Political Science from the University of Nairobi.